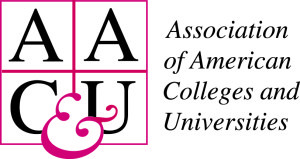 The Association of American Colleges and Universities (AAC&U) asks U.S. colleges and universities to engage in activities, events or strategies that encourage healing and create engagement around racism, bias, inequity and injustice in American Society in celebration of the third annual National Day of Racial Healing on Jan. 22. The National Day of Racial Healing (NDORH) creates an opportunity for organizations and individuals to engage in humanity and take collective action to establish a more equitable and fair world, according to an AAC&U release. The NDORH falls under the W.K. Kellogg Foundation’s Truth, Racial Healing & Transformation effort, which serves as a community and national-based process to determine and bring about transformational and sustainable change in addition to talking about the historical and contemporary effects of racism in U.S. society. Sharing stories, event details, photos, and video via social media using the hashtag #HowWeHeal.